One choked himself and then there were Nine. Ten people are lured onto Soldier Island by the mysterious U.N Owen. There were all sent there on work, a doctor, a games mistress, a judge, a police inspector, an army general and some others. But when they all start to die. The rest knew something was going on. The put a name to U.N Owen. They even found out that one of the people was an undercover police inspector named Henry Blore. This is one of Agatha Christie’s masterpieces. It is quite old-fashioned, as it was published in 1939 (a long time ago). The characters are great, as you feel you could be friends with them. As you come to only two people alive, it becomes real, as if you are there, watching the person die. Warning: This is an adult book, so I would recommend it to 13+. It doesn’t have any swearing, but some scenes are quite disturbing. Great, clear review, with the children’s rhyme perfectly encapsulating the chill of the story. I’m impressed you’re on to Agatha Christie already! This was one of the first I read of hers and I was instantly hooked. Some people thought the recent TV adaptation too slow but I didn’t – it brought out the claustrophobia and sheer dead, rotting nastiness of the atmosphere brilliantly. Yes, the TV adaptation was quite disturbing, especially with the poor old woman in the first episode. 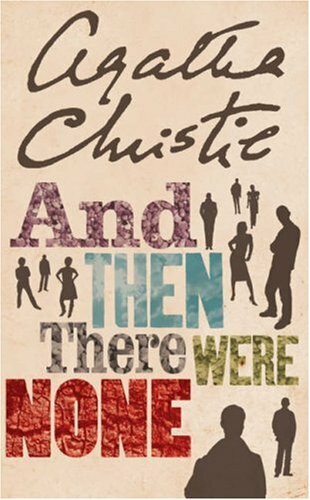 So far I’ve read: And Then There Were None, Murder on the Orient Express, The Secret Advesary and Third Girl. I’ve just bought The Mysterious Affair at Styles, to immerse myself into! !